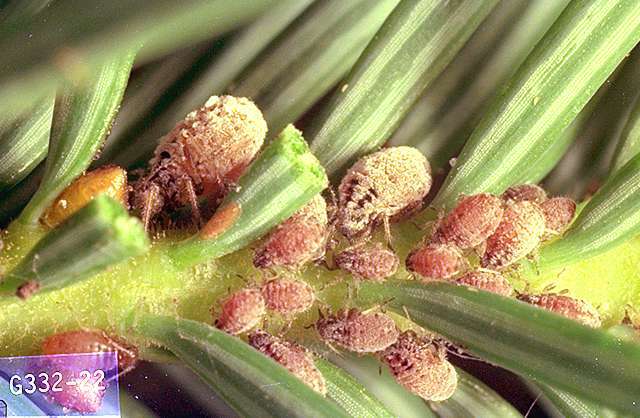 Pest description and damage About 200 species of Cinara attack pine, spruce, fir and cypress throughout the United States. Many of these species are large (up to 0.2 inch), dark brown to black, and almost spider-like. 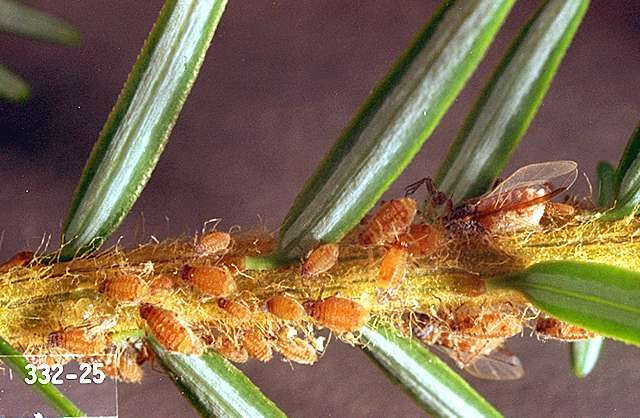 The aphids congregate in large colonies to feed on the bark of twigs and even the main stem of small trees. The feeding causes yellowing of foliage, leaf drop and can cause limbs to die. These aphids can cause serious damage to young trees. These aphids overwinter as eggs on twigs or branches. Adults and nymphs begin feeding on stems in the spring.